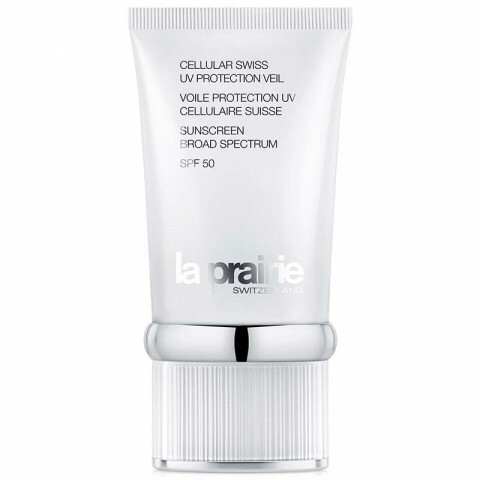 This lightweight, daily UV protection offers a powerful shield from sun and environmental exposure while brightening and hydrating the skin. Sheer enough to use over a moisturizer, the formula glides beautifully onto skin offering high-SPF protection against premature aging caused by the sun and doubling as a primer for the last step in your skincare ritual. Swiss Noble Edelweiss defends against environmental stressors that create premature fine lines and wrinkles while the La Prairie-exclusive Smart Crystal White Complex repairs past sun damage. The lightweight, non-drying formula leaves skin silky smooth and primed for makeup application. Have been buying this sunscreen for times. It is absolutely the top sunscreen i would choose for a daily use. Oil-free and no burdens on skin makes it popular. The light scent calms down the skin and it lasts long. no need to reapply for hours. Absolutely No 1 choice for a sunscreen, Light, greasy-free ingredients put skin in no burdens. It also helps the skin prepare for hydration creams and serum. Long duration, recommend for daily use. This protects my skin from UV rays and is not greasy at all. It's very sheer and applies well. Does not break me out.